It seems that businesses of all sizes are more frequently being structured using multiple companies and/or that business owners are acquiring interests in other companies. With the implementation of the Affordable Care Act, some companies actively restructured to stay below the 50-employee coverage threshold. Regardless of the reason, there are complex IRS rules that must be considered when it comes to both the retirement and health benefits being offered to employees. During the mid-1980s, Congress created a series of complex rules that require all companies in a related group to be combined when determining whether employee benefit plans are providing adequate benefits to enough of the employee population. While this may sound onerous, with some careful planning, these rules can also be used to provide retirement benefits to multiple companies more cost effectively. The introductory paragraphs mention related companies. What exactly does that mean? 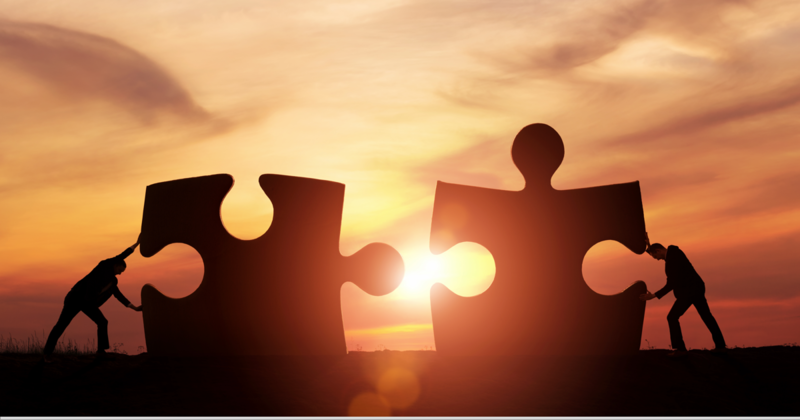 Although there are many ways in which companies can be related to each other, in this context, we are referring to overlapping ownership between companies and situations in which two or more businesses have formal working or management relationships. There are two broad categories of related companies — controlled groups and affiliated service groups. The remainder of this FAQ will focus on affiliated service groups. We have prepared a separate FAQ on controlled groups, available here. What do you mean by ownership? Ownership in this context is more of a generic term that refers to not only shares in a corporation but also to membership in an LLC, partnership interest in a partnership or LLP and composition of the Board of Directors in a not-for-profit organization. Perhaps more important, there are instances in which the ownership held by one person or entity is attributed to another person or entity. One of the most common forms of attribution is among family members. While we will spare you the gory details here, we have prepared a separate FAQ on the ownership attribution rules. My tax advisor told me the other companies I own are disregarded entities. Doesn't that mean I can disregard them for my benefit plans also? Actually, no. Even though certain companies may be disregarded for other tax or financial reporting purposes, there is no such exclusion in the context of the controlled group and affiliated service group rules. In other words, just because an entity may be disregarded for some purposes does not mean it can be disregarded for all purposes. What is an affiliated service group? Do the entities join together to provide services to the same clients? Is there any common ownership among the entities? As little as 10% may be enough, although an ASG may sometimes exist even if there is no common ownership. 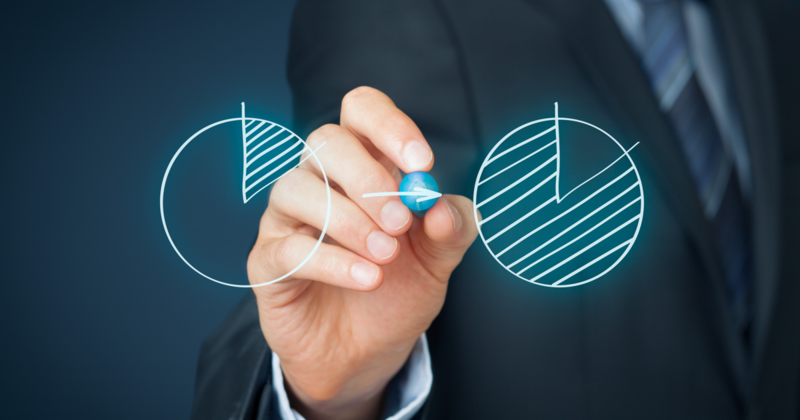 Does one entity provide management oversight over the other entity? Are certain types of businesses more or less likely to be part of an affiliated service group? Generally speaking, professional businesses such as medical practices or law firms tend to be more likely to fall into an affiliated service group situation. Are there different types of affiliated service groups? Yes, there are three different types: the A-org group, the B-org group and the management group. You know that means nothing to me, right? Let's take them in order; what is an A-Org group? An A-Org affiliated service group consists of a First Service Organization (FSO) and one or more A-Organizations, all of which are service organizations. To be part of the group, any potential A-Org(s) must meet both an ownership test and a business relationship test. The A-Org(s) must have an ownership interest in the FSO. There is no minimum percentage, so any amount of ownership is sufficient to meet this requirement. Attributed ownership counts toward meeting this requirement. The A-Org(s) and the FSO must be regularly associated with each other in performing services to third parties. Any type of entity can be an FSO, but if it's a corporation, it must be a professional service corporation. What does it mean to be a “service organization”? Capital (inventory, equipment, etc.) cannot be a material income-producing factor. Banks are never considered service organizations; while others such as those in the fields health, law, engineering, architecture, accounting, actuarial science, performing arts, consulting and insurance are always considered service organizations. Can you give me an example of an A-Org affiliated service group? Sure. Let's take a look at a somewhat common structure used in law firm partnerships in which each attorney has his or her own professional services corporation which is a partner in the law firm. Susan, Vincent, and Jack are the only employees of their respective PCs, and all other employees are employed by the law firm. This structure satisfies both the ownership test and the business relationship test and is an affiliated service group with the LLP as the FSO and the PCs as A-Organizations. This is true regardless of whether the law firm provides services and distributes profits to the PCs, the PCs provide services through the law firm or the PCs and law firm regularly refer business to each other. Ok. Now, what is a B-Org affiliated service group? As you might guess, a B-Org affiliated service group consists of a First Service Organization (FSO) and one or more B-Organizations; however, unlike the A-Org group, the B-Organizations are not required to be service organizations. Another difference is that an FSO that is a corporation does not have to be a professional services corporation. Highly compensated employees of the FSO must own at least 10% of the B-Org(s). The B-Org(s) must receive a significant portion of its business from performing services for the FSO. Less than 5% of service receipts is not considered significant. At least 10% of service receipts is considered significant. The B-Org(s) must perform services for the FSO that are traditionally performed by employees. Can you give me an example of a B-Org affiliated service group? We picked on lawyers before, so we will look at a common structure found in medical practices for this example. 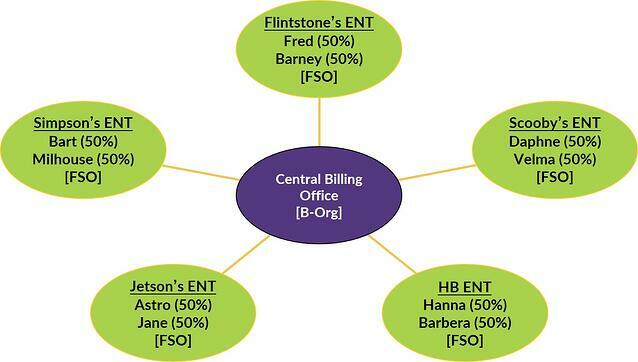 Five separate ENT practices (FSOs) own equal shares of a central billing office (B-Org), which derives 20% of its business from each practice. This structure results in five different B-Org affiliated service groups, each of which consists of the central billing office along with one of the FSOs. 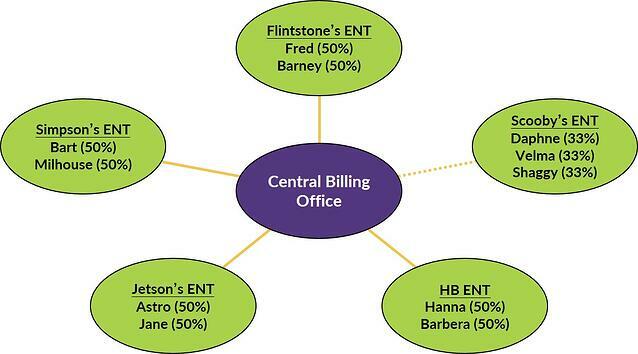 In other words, the billing office is in all five groups. Just to illustrate how seemingly small changes can upset the apple cart, let's assume the same structure except that Scooby's ENT adds a third equal shareholder. If that practice is a C Corporation, there is an exception to the attribution rules (since none of the shareholders own at least 50% any longer), breaking the affiliated service group relationship. I'm almost afraid to ask; how do Management affiliated service groups work? We've saved the easiest for last. A management group consist of a Management Organization (MO) and a Recipient Organization (RO). No common ownership is requirement, and the MO's principal business is to provide management functions for the RO. The first step is to make sure you have a proper determination of whether or not you are part of an affiliated service group, which as you can see, includes a number of subjective variables. Due to the complexity and the subjectivity of many of the factors, DWC usually recommends working with a benefits attorney who specializes in this area. Contact us and we will be glad to walk you through the process. If you do not already have an attorney, we would be glad to provide you with contact information for some attorneys we have worked with in the past. Once there is confirmation of whether or not an affiliated service group exists, it is time to consider some plan design options.